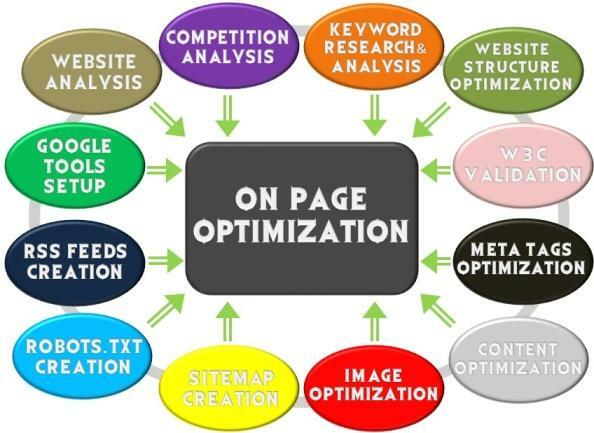 In this gig, I will do on page Search engine optimization of your website according to the Google's latest updates. Most websites are running on previous Google algorithms and that's the main reason why they are not making any sales and not attracting any healthy traffic. Here in this gig, I will optimize all the SEO elements of your website and I will suggest/implement the correct details. If you can provide me the FTP details and Admin panel access, then I can prepare the suggestion report and implement them directly on website. If you are unable to provide me the details, then I can give you the suggestion report with which you can easily implement on your own. I will prepare a detailed audit report and implementation report. Firstly, I will prepare the suggestion report and then get it approved by you. Once you approve it, I will implement the changes on the website. Get all these tasks done at just $45 which is probably the cheapest and reliable service price here on the entire web. Let me know for any queries. I am open to hear your thoughts and suggestions. I will boost your web traffic with On Page SEO is ranked 5 out of 5. Based on 2 user reviews.